Lokmat Maharashtrian of the Year Award 2017 - Ranbir Kapoor, Alia Bhatt win big! Lokmat Maharashtrian of the Year Award 2017 – Ranbir Kapoor, Alia Bhatt win big! 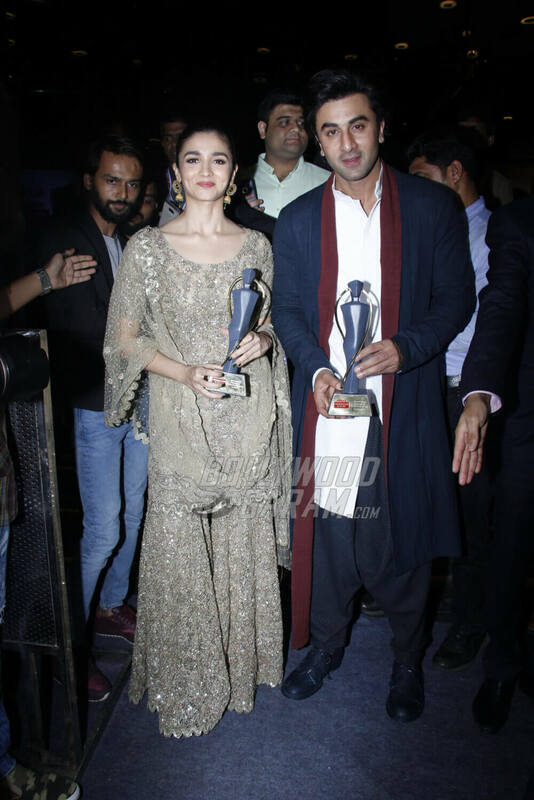 Bollywood actors Ranbir Kapoor and Alia Bhatt won big at the Lokmat Maharashtrian of the Year Award 2017, held by leading media house, LOKMAT yesterday. This was the fourth edition of the awards which felicitates Maharashtra citizens for their exemplary contributions in various fields. The event was attended by several dignitaries and Bollywood celebrities including Former President of India, Pratibha Patil, Jeetendra, Diya Khosla, Director Rajkumar Hirani and actors Ranbir and Alia. 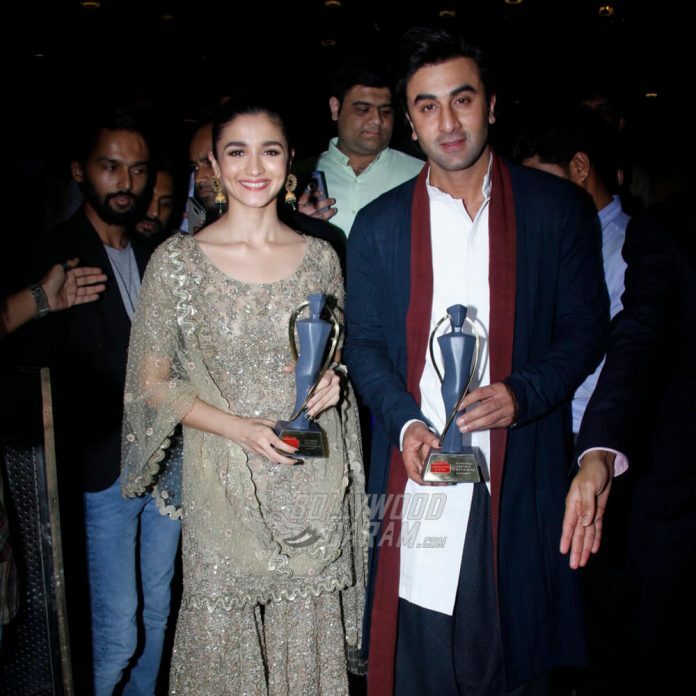 Both Ranbir Kapoor and Alia Bhatt won the award for Outstanding Entertainer of the Year at LMOTY 2017 and looked stunning in traditional attires. 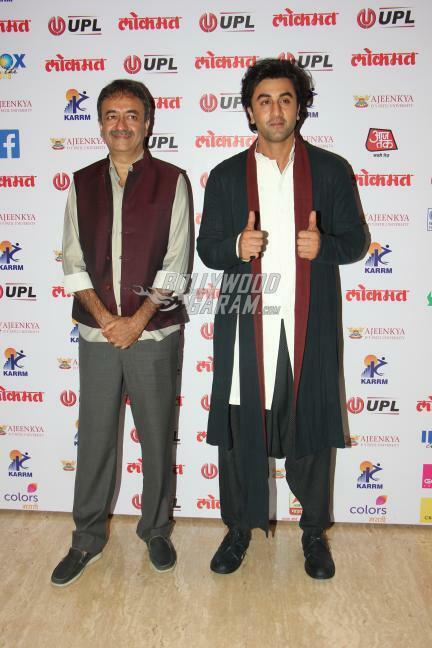 Ranbir Kapoor opted for a monotone ensemble from Antar Agni by Ujjawal Dubey, and looked dashing in a neo-Indian avatar. He completed the look with a pair of black Barny Nakhle shoes. While acclaimed actress Alia Bhatt looked gorgeous in a gold shimmery Sabyasachi creation. She completed her look with a pair of green and golden jhumkis and makeup which highlighted her lips and eyes well. Since the duo is rarely spotted in ethnic wear, it was a pleasant surprise to see them turn heads with their traditional look. Very soon you will also see the duo together in Ayan Mukherjee’s next, Dragon as they feature in lead roles in the movie. We also spotted Diretcor Rajkumar Hirani accompanying Ranbir Kapoor to the awards show last night. The two are working together on an upcoming biopic on Snajay Dutt’s life which is yet to be titled. It was also reported that Ranbir Kapoor in fact imitated Sanjay Dutt’s walk as he arrived on stage to receive his award! Next articleDev DD - A modern twist to Devdas with a female lead character!